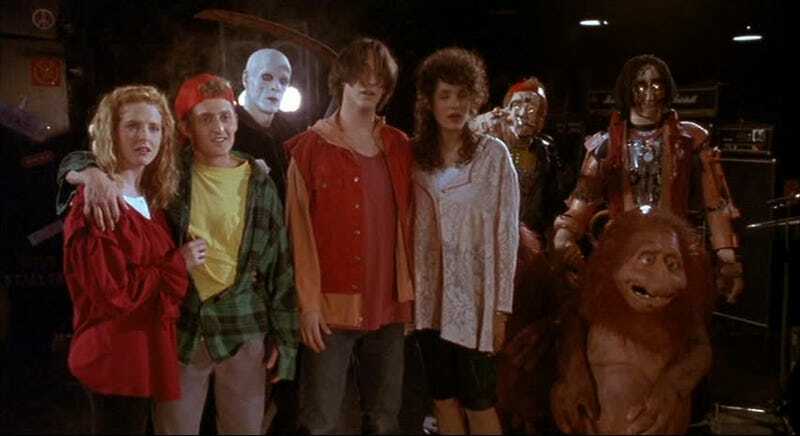 A most excellent still from Bill & Ted’s Bogus Journey. The classic Bill & Ted teen time-travel comedies are beloved artifacts of late-1980s/early-1990s goofiness. The titular characters romp through time and existential states, and hijinks ensue. But one of the weirdest characters in the series had their origin in a late-night work accident. If you’ve ever sat around and wondered how the hell that bizarre piece of slang/amazing alien character(s) wound up being invented in Bogus Journey, you can now be at peace. Station! STATION!